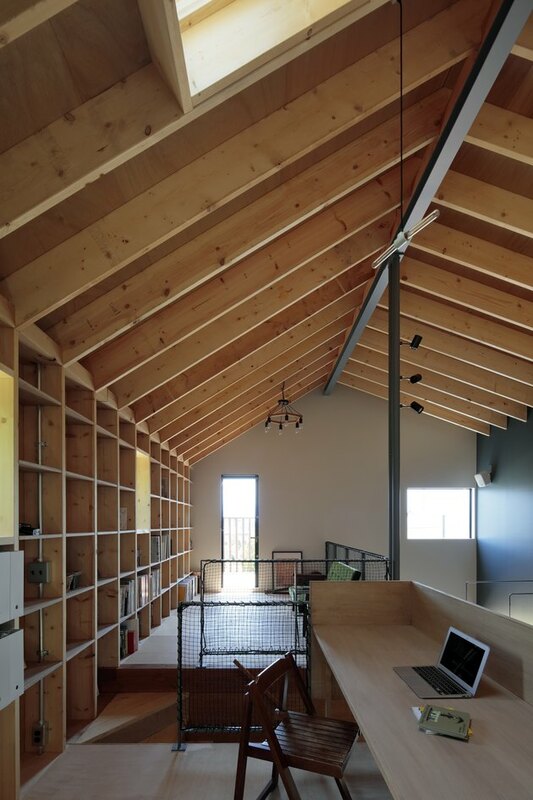 When we came upon this 800-square-foot home designed by Takanori Ineyama Architects, we started to question what, exactly, we're doing with our lives, and why we aren't living in Japan. Located in Yamanashi, a prefecture a couple hours outside of Tokyo, the countryside area's offerings are unreal: views of Mount Fuji, hot springs, lakes, shrines...not to mention that Yamanashi is known for its wine and candy-sweet grapes and peaches. 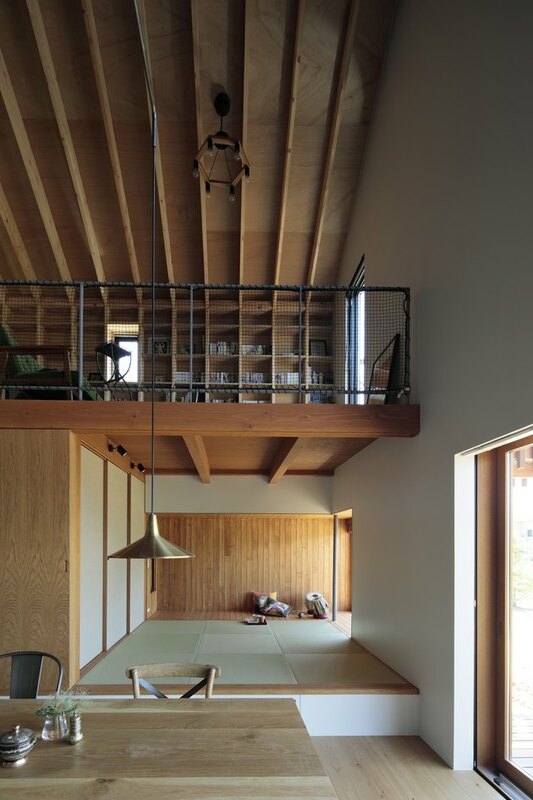 But, back to the house: Takanori Ineyama built the dwelling with the idea of leaving city life behind and purposefully taking in nature, both physically and spiritually. 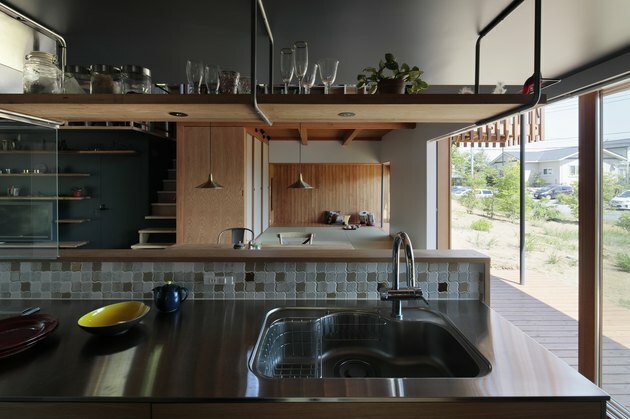 The design features an open plan that allows for family connection, large picture windows that frame the landscape, as well as a serene spot dedicated to worship. "Religion with the community is a very important factor for migrants from the city," Ineyama explained. Care was also taken in selecting materials. 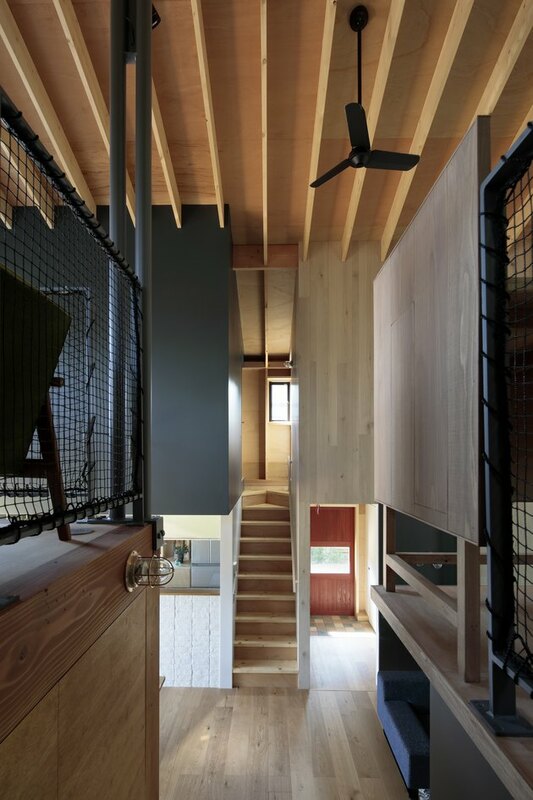 By combining two different elements — steel and wood — the home maintains an urban identity while still harmonizing with its rural setting. 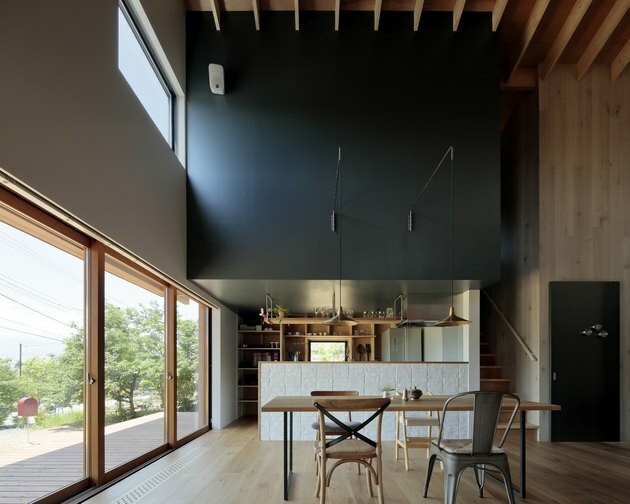 The dining area mimics the home's materials, featuring mismatched wood and steel chairs. Thanks to the abundance of windows, you'd hardly ever need to turn on the lights during the day. 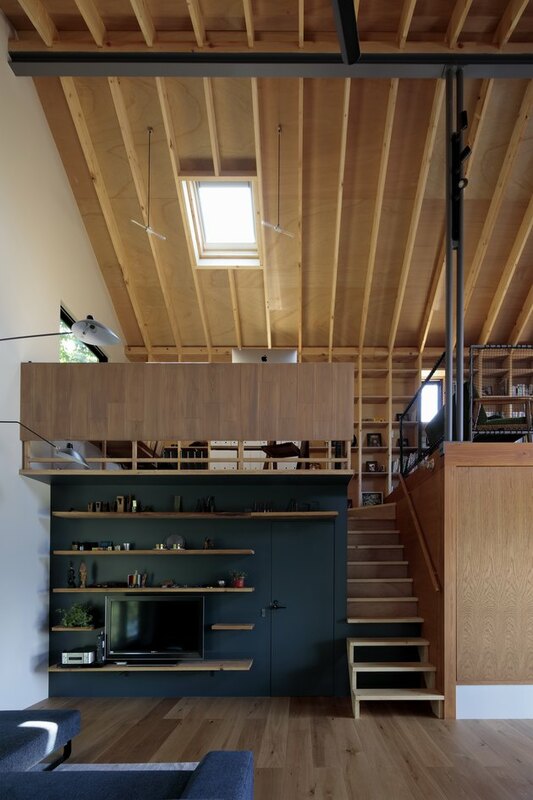 Wood and metal are cleverly used to create transitions in the home. The open floor plan continues in the kitchen, providing ample space to hang out. Color is used sparingly throughout the home, but its impact is meaningful. Here, a green accent wall reminds you of the area's surrounding forests. 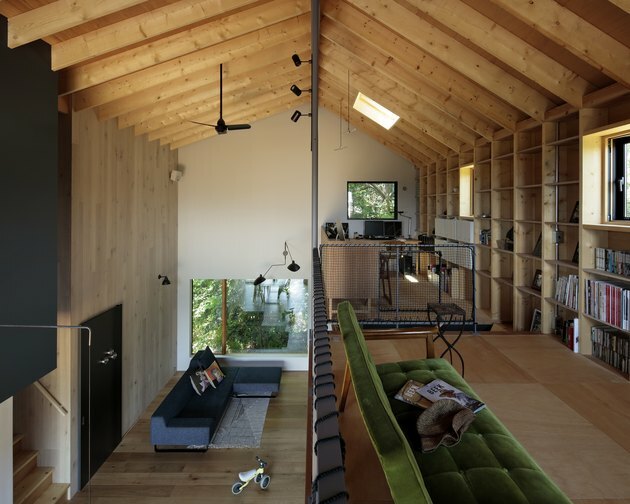 While the home's location and reliance on wood highlights nature, modular shapes bring in a more modern aesthetic. 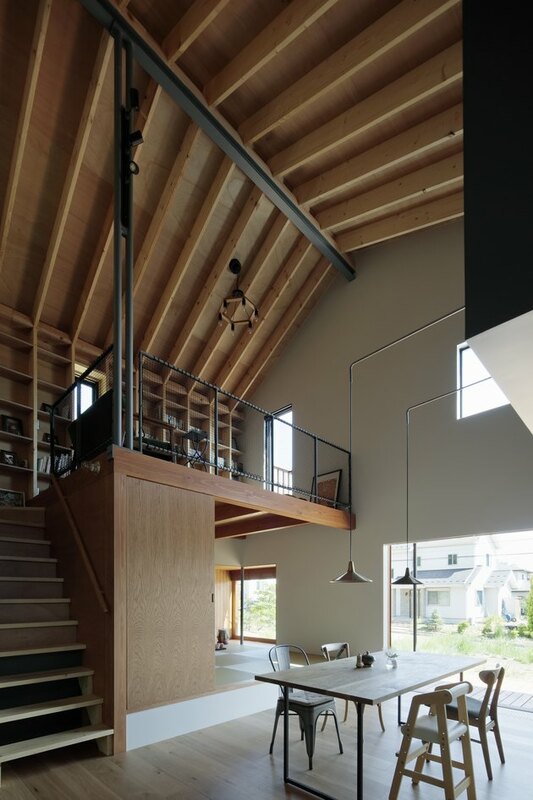 A single industrial light fixture on the staircase wall is an unexpected touch. 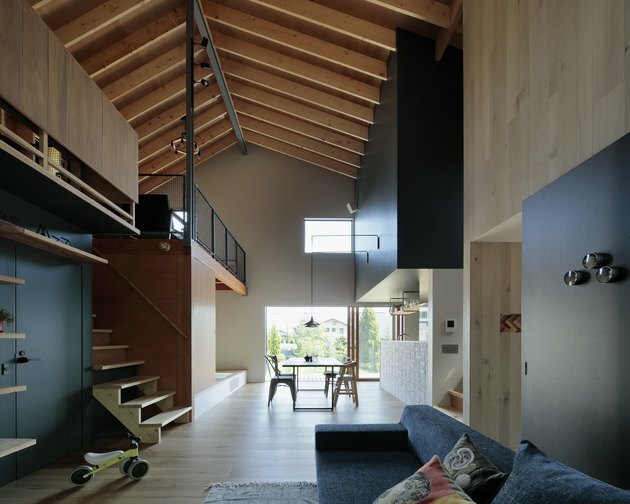 The architect kept energy efficiency in mind when designing for the colder climate — there's a heating system that radiates warmth from below while an air system releases warm air to the rest of the home, reaching upstairs from an opening on the floor. Up in the loft, a midcentury-inspired sofa provides texture and a pop of color. 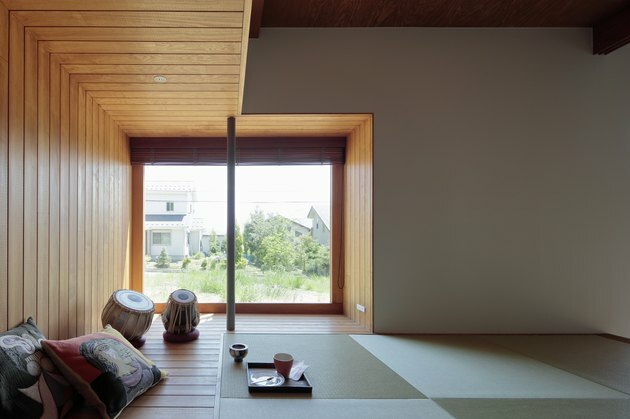 A traditional tatami room offers a minimalist space for meditation or relaxation.